Can Chinese Currency Be Used in Hong Kong? Despite the shift in allegiances from the UK to mainland China, the Hong Kong dollar (HKD) remains supreme, and looks to stay that way for a long time yet. Although Hong Kong is officially part of China, its currency is not the same. There’s no need to change your home currency to Chinese yuan or renminbi, the Chinese currency in the mainland. Just convert to Hong Kong dollars instead. You will get more value for it and the entire county can accept the currency. A majority of the shops, restaurants, and other businesses in Hong Kong will only accept the Hong Kong dollar as payment. Shops using online payment systems – such as AliPay and WeChat Pay – allow users to pay with renminbi, though transactions will be converted into HKD. Renminbi or yuan may be accepted as payment in large supermarket chain stores throughout Hong Kong, but the exchange rate is poor, trading at a 20% loss over Hong Kong dollars. Shops that accept yuan will display a sign at their register or in the window. The Chinese currency, called renminbi (RMB) literally translates to mean "the people's currency." Renminbi and yuan are used interchangeably. When referring to the currency, it is often called "the Chinese yuan," much like how people say, "the American dollar." The distinction between the terms renminbi and yuan is similar to that between the sterling and pound, which respectively refer to the British currency and its primary unit. Yuan is the base unit. One yuan is subdivided into 10 jiao, and jiao is then subdivided into 10 fen. The renminbi is issued by the People's Bank of China, the monetary authority of China since 1949. 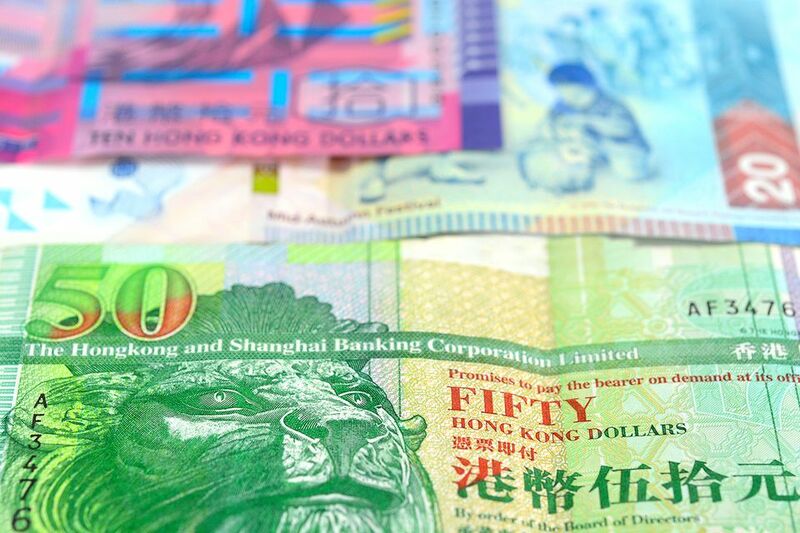 Although Hong Kong is officially part of China, it is politically and economically a separate entity and Hong Kong continues to use the Hong Kong dollar as its official currency. Hong Kong is a peninsula located along the southern coast of China. Hong Kong was part of mainland China’s territory until 1842 when it became a British colony. In 1949, the People’s of Republic China was established and took over control of the mainland. After more than a century as a British Colony, the People's Republic of China took over control of Hong Kong in 1997. With all these changes, exchange-rate disparities have been inevitable. After China took over the sovereignty of Hong Kong in 1997, Hong Kong immediately became an autonomous administration territory under the “one country, two systems” principle. This allows Hong Kong to maintain its currency, the Hong Kong dollar, and its central bank, the Hong Kong Monetary Authority. Both were established during the British ruling period. The foreign exchange rate regimes for both currencies have changed over time. The Hong Kong dollar was first pegged to the British pound in 1935 and then became free floating in 1972. As of 1983, the Hong Kong dollar was pegged to the U.S. dollar. The Chinese Yuan was created in 1949 when the country was established as the People's Republic of China. In 1994, the Chinese Yuan was pegged to the U.S. dollar. In 2005, China’s central bank removed the peg and let the yuan float in a basket of currencies. After the 2008 global financial crisis, the yuan was pegged to the U.S. dollar again in an effort to stabilize the economy. In 2015, the central bank introduced additional reforms on the yuan and returned the currency to a basket of currencies.